A positive outlook for the tanker period market this week with a 2005-bulk VLCC fixed for 6-9 months at $27,000/pdpr. 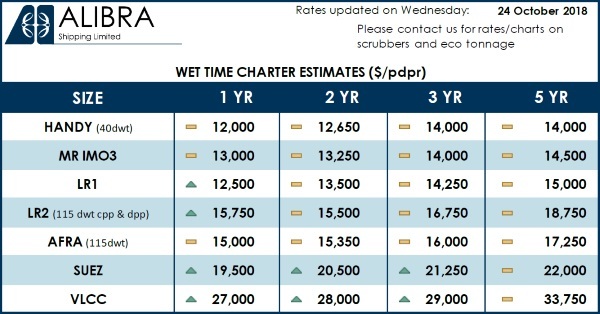 The Aframax sector has remained steady, with time charter rates for one year estimated at $15,000/pdpr. On the clean side there has been some period activity, with a few short-term contracts reported.